We're inching closer to the western release of Yakuza Kiwami, and also an impending livestream event from Ryu ga Gotoku Studio. The stream is meant to showcase the latest titles the studio has been working on, and well it looks like one particular title has leaked early. 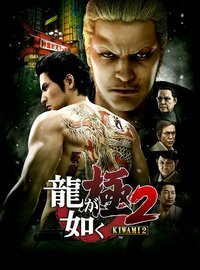 A pre-order listing for Yakuza Kiwami 2 appeared on Taiwanese Playstation Store briefly earlier today. According to the above listing, the game will be a full remake of Yakuza 2 for the PS4 and will be using the same engine as Yakuza 6. The above listing was taken off the Taiwanese Playstation Store already but the cat is out of the bag already. The release date on the add says December 17, 2017 too! Granted that probably means a western localization is still a long way off, so you have plenty of time to play the first Yakuza Kiwami and catch up. Be sure to check out our review for it too!